The evolution of eCommerce has totally disrupted the retail world. Online businesses are basically faceless stores. No people. No interaction. No touching or seeing a product before you buy it. Customers want more than that and in answer to that demand, today the simple and unassuming pop-up store is reborn, making pop up stores the new trend in eCommerce. Pop-Up stores go back to ancient times when merchants sold newly imported spices or silk on street stalls. Temporary retail establishments date back to the European Christmas markets of the 13th Century. Today, pop-up stores provide pretty much the same service and needs they did centuries ago. They help an online business gain feedback and insights by interacting directly with their customers. Retail in San Jose was hard hit over the past few decades by big suburban shopping malls like Valley Fair. Downtown still has in many areas blocks of vacant store fronts. Those stores that are occupied and trading are very far from each other, making window shopping difficult. Another problem is that they're not always very attractive. In 2015, the San Jose Downtown Association applied to the Knight Foundation for a Cities Challenge grant to create mini storefronts on the ground floor of the San Pedro/Market Garage. The objective was to test a new method of economic revival focused on bringing activity to the streets by installing pop-up retail units on the ground floor of parking structures opposite the lively San Pedro Square market. The project borders a wildly popular block of restaurants and bars and a farmers market every Friday until fall. There's enough foot traffic to provide plenty of business. A small park area extending from the sidewalk in front of the shops provides welcome seating area. 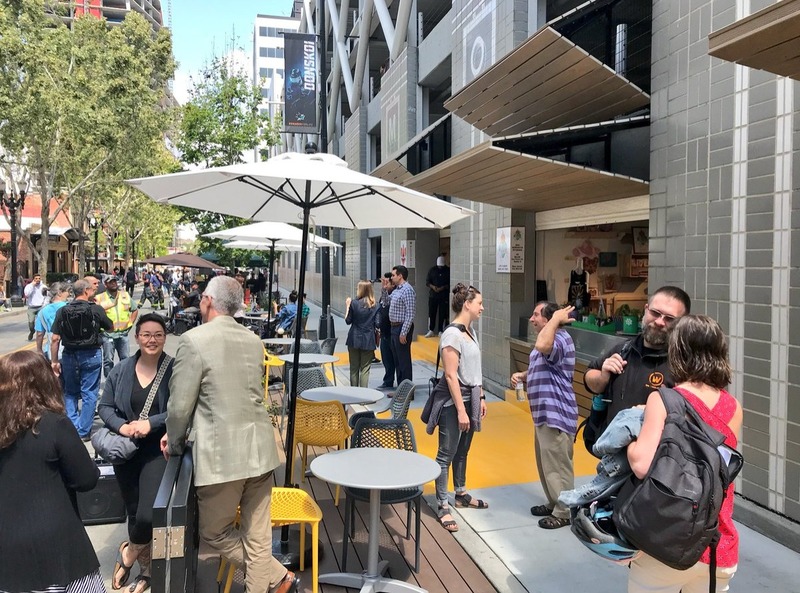 San Jose and other downtown districts in the Bay area have recognized that pop-up shops are a great way to re-energize sleepy, underutilized commercial areas. Downtown San Jose recently opened a bunch of pop-up stores near the city center. The new shops occupy underutilized indoor and outdoor spaces, including vacant storefronts such as the lobby in the former San Jose Repertory Theater. Physically interacting with customers means an online business can drive conversations. It's a rare opportunity for the individuals running an eCommerce business to invite and interact with brand loyalists and customers on such a very personal level. And because pop-up shop is in place for just a limited time, customers are more likely to come out and see it. 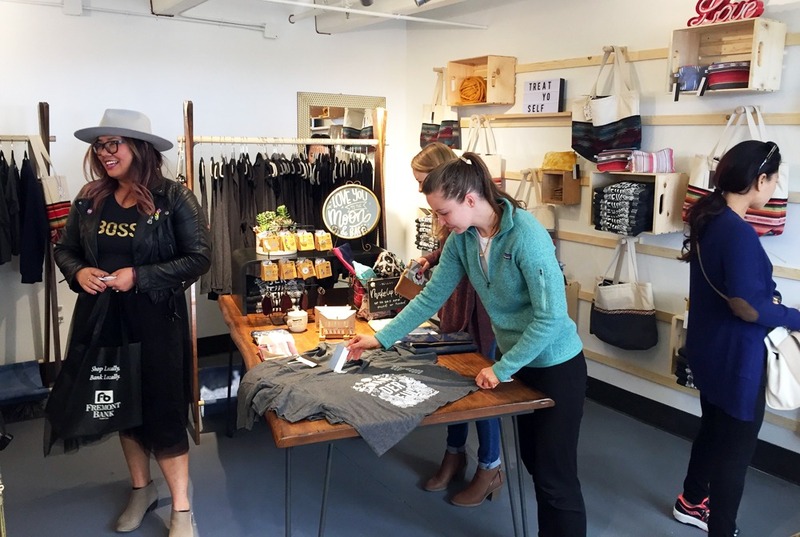 A pop-up shop can be helpful for clearing out stock or excess inventory and promoting new products. Pop-up shops drive sales and act as additional sources of revenue. During Downtown San Jose’s holiday season more than half a million people visited the city center. San Jose’s pop-up project is part of the San Jose Downtown evolution. It's where arts, creativity, innovation and entrepreneurship thrive side by side. And because of it San Jose is fast becoming the stealth superpower of the Bay Area.